Million's Lovers - Tricks, Likes, Treats. While we are working on more animals and pets for you to play, here are some fix for your better experience. Musics is now playing more smoothly, sounds added when collecting meat, swiping and hitting obstacles. Better performance and some minor bugs fixed. - AppSpy - " It's adorable, absolutely beautiful and gorgeous! " - AppPicker - "Cute and fun, any age group can play and enjoy it! " - Dark Square game - "AMAZING artwork! Really loved the whole experience!" - WeiFeng Game - "It's unique, creative and beautiful!" - 18touch - "It's a real great music pattern runner! " - Candou - "The pixel art is a beautiful painting"
MILLION'S LOVERS is a beautiful and very unique QTE (Quick Time Events) endless runner. This is also the FIRST endless runner game contains both QTE and Runner elements. Swipe to the direction where arrow signs indicated to perform tricks. Watch out for trees and rocks. It's simple but challenging! Your goal is to get a million "Likes"! Now! Lets run and roll! 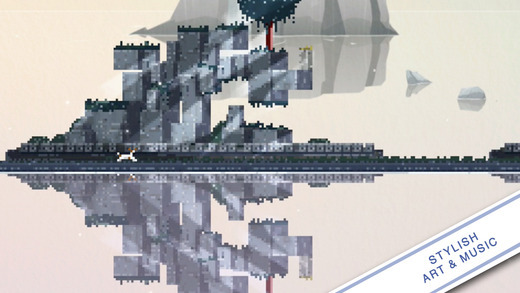 Inspired by "Superbrothers: Sword & Sworcery" beautiful pixel art, we bring this art style into a runner game. Everything in game are programmed, composed and painted by a team of three, it is original and hope you enjoy the experience. - Beautiful music created by Korean musicians Jin Choi. - Only on iOS device.